I always love taking sweet newborns out into the big world during their newborn sessions…but usually it’s at the very end of my workflow and ONLY if I feel as if the baby is still willing and able to cooperate with the vision that I have for the particular outdoor set up. So it’s not something that I can guarantee any of my clients, which can sometimes be a bummer. 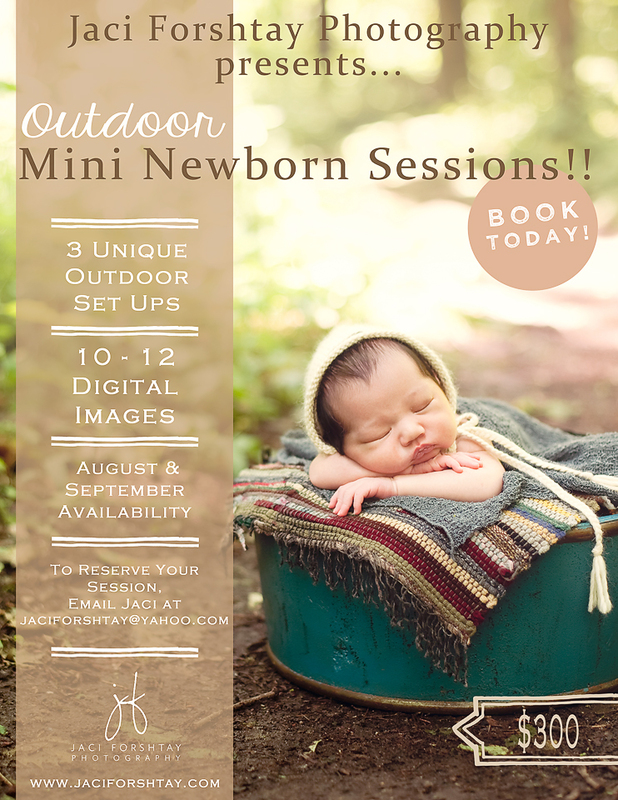 I’m SO excited to be able to offer my Outdoor Mini Newborn Sessions as a stand-alone session OR as an Add On (basically two different session appointments) to my traditional newborn sessions. Here’s the info – these sessions will only be available during the months of August and September, and weather pending perhaps into October.